Product #26191 | SKU E3MSCBAU | 0.0 (no ratings yet) Thanks for your rating! 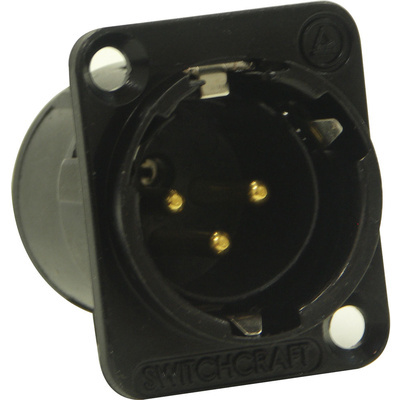 Switchcraft's E Series 3-Pin XLR Male Solder Contacts (Black, Gold) offers a panel mount with quick release inserts. A small screwdriver can be used to remove the inserts, allowing for easy gender changes. The male and female E Series fit into the same panel cut-outs.